The first quarter of 2019 has gotten off to quite a promising start for the NNEdPro Global Centre for Nutrition and Health. As an organisation, we have already seen a number of key dates in our calendar with milestones celebrated and achieved in the last few months. This included our three flagship events marking five years of operations across India in the month of February. This started with our Five Year Symposium in Kolkata, showcasing the results from our urban slums mobile teaching kitchens and its innovative micro enterprise phase, followed by a BMJ India Nutrition Masterclass held in New Delhi for clinicians from a range of different Indian hospitals, and finally a rural adaptation workshop organised in Sanghol Punjab on mobile teaching kitchens, connecting our urban work with the University of Cambridge TIGR2ESS programme spanning all zones of India to create sustainable food supplies as well as improve nutrition and health. 13th March marked the official opening of our new offices by Lord Balfe at the St John’s Innovation Centre in Cambridge, which symbolises our entry into a period of academic entrepreneurship. We were at the International Forum on Quality & Safety in Healthcare from 27th – 29th March in Glasgow where we conducted a NEPHelp workshop on ‘Food, fluid and nutritional care as key drivers to improve healthcare outcomes: The Nutrition Education policy for Healthcare Practice Training Package’ . We also had an important poster based on our paper: Time for Nutrition, and introduced our e-learning. Watch this space for more updates on these! During the first two months of 2019 I completed a secondment to the World Health Organisation’s Nutrition Directorate and have now been retained as a visiting consultant till the end of the summer in order to progress our joint strategy towards nutrition capacity building particularly in relation to health care and health systems. Not only does all of this set the stage for the remainder of 2019 but it also allows us to focus on some of the immediate challenges before us, which are the capacity building activities that we now will focus on within the United Kingdom including the launch of our educational roadshow across different regions of the NHS to raise nutrition awareness in medical doctors and other healthcare professionals. Following the workshop at the BMJ Quality and Safety Conference in Glasgow, alongside the launch of our e-learning package, we will go to five different regions of the NHS in England to convey key messages and educational interventions. This will be followed by our Summer Events in Cambridge this July, particularly our Summer School and International Summit. This year we are also hosting the 13th Congress of the International Society for Nutrigenetics and Nutrigenomics. 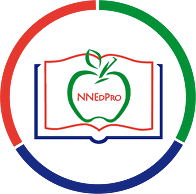 Underpinning all of our activities this year is also the advent of our external membership and mentoring scheme of the International Academy of Nutrition Educators (IANE) which sits within the NNEdPro Global Centre and works in conjunction with the Society for Nutrition Education and Behaviour in the United States as well as Monash online learning in Australia. This external membership and mentoring scheme offers a unique opportunity to receive one-on-one guidance towards becoming tomorrow’s nutrition educators and we are pleased to be welcoming our first external members as of February 2019 and is free for internal members. Do take a look at the events calendar for the months ahead, and I would be delighted to see as many of you as possible at our Summer Events this July in Cambridge where we bring the world to a common forum in order to move together with consensus around the next priorities and steps towards strengthening nutrition capacity for health.